2013. BY Susan Zizza. 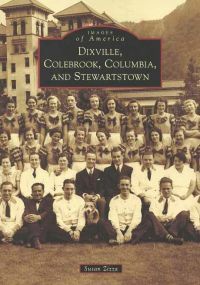 A great new photograohic history of these four communities in far northern New Hampshire. Includes many wonderful images of the Balsams Grand Resort hotel property. Published as part of the popular Images of America series by Arcadia Publishing. Softcover. 128 pp.